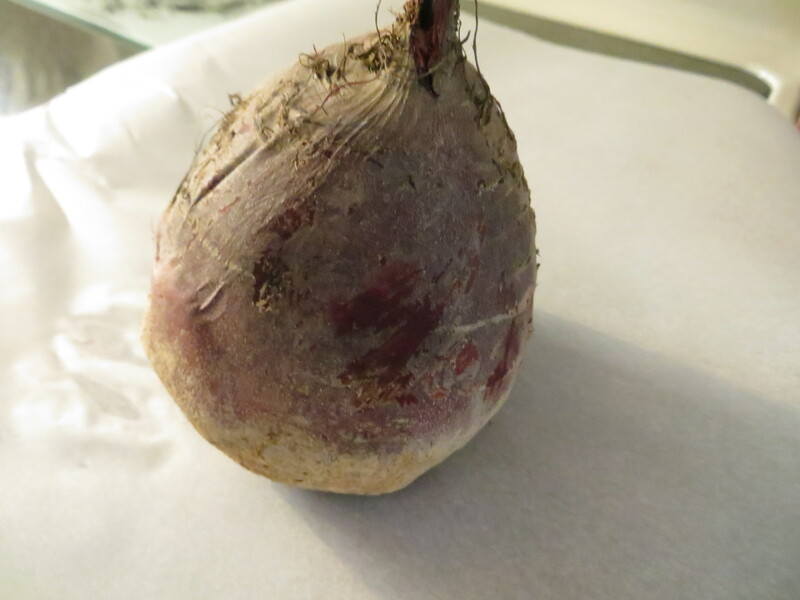 This week we received beets in our CSA box, and it took me a while to figure out what to do with them. I thought about beet chips, smashed beets, I even tried juicing the beets, and nothing seemed right. I finally decided to roast them and make a salad. I was inspired by an older Ina Garten recipe (my cooking hero! ), and I made a few transitions to make it my own. 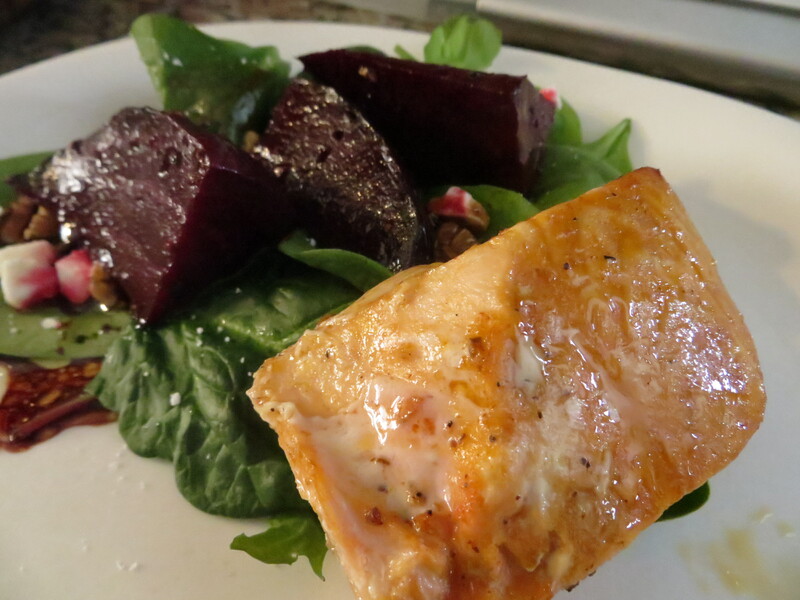 Beets are a fantastic root vegetable. They’re high in vitamins A, B, C, beta-carotene and folic acid. I will say this takes a little forethought. This is not a salad you can throw together in 5 minutes. I do promise that the time you put in will yield a great reward! 2. Place the clean, scrubbed beet in a pan and roast for 1 hour. When the beet comes out the oven it should be soft (think consistency of a baked sweet potato). Allow the beet to cool until it becomes easy to handle without burning your fingers. 3. Peel the beets over a piece of wax paper or something that you don’t mind getting stained. Beets stain. Again, beets are amazing veggies, but they will stain your favorite shirt, your fingers, your counters, etc. USE CAUTION! 4. Cut the beet in half, then quarter. Allow to cool further. 5. 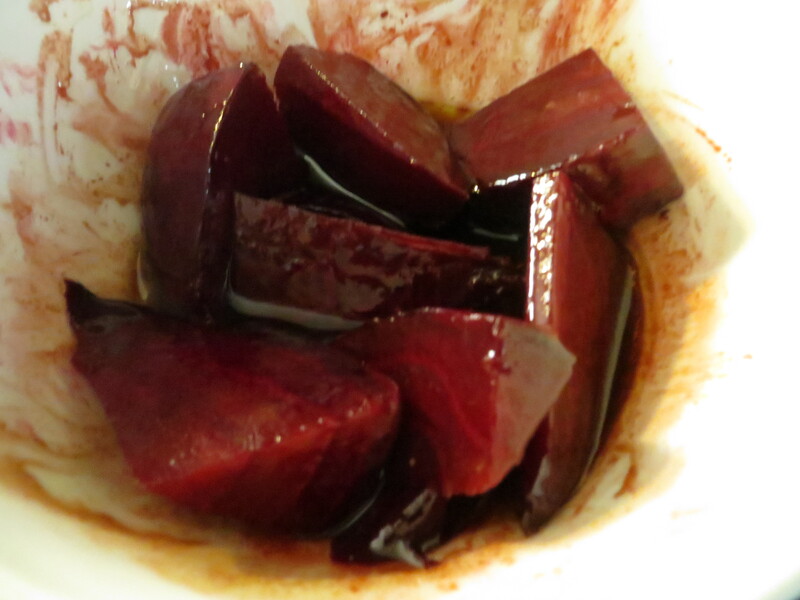 While the beets are cooling, mix balsamic vinegar, olive oil, Dijon mustard, salt and pepper. Reserve half the mixture for salad dressing. 6. Toss the sliced beets in the other half of the balsamic mixture. 7. 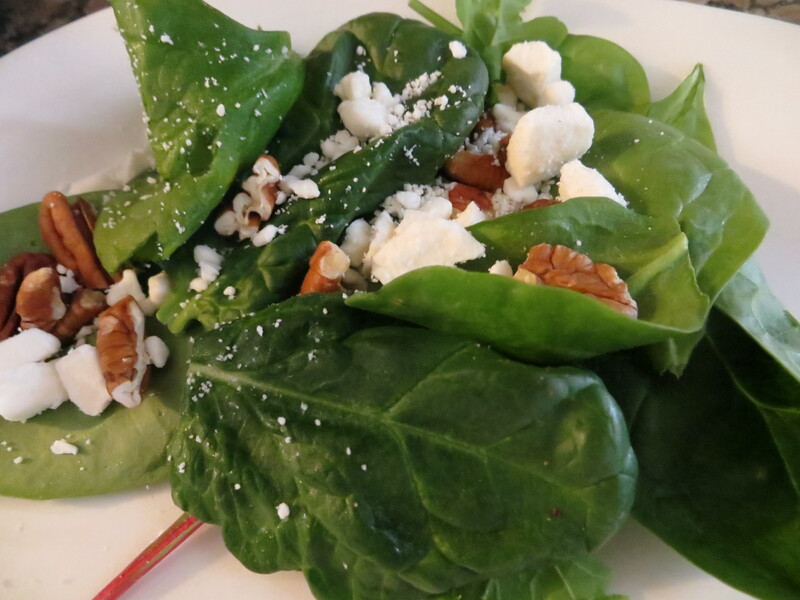 Place the spinach on a platter and drizzle with enough reserved balsamic mixture to lightly coat the leaves. Top the leaves with pecans, feta cheese, beets and salt/pepper (optional). This is such a yummy salad. It can be eaten alone as a main dish, or served with a fresh piece of fish or chicken. I love to eat it with wild salmon. 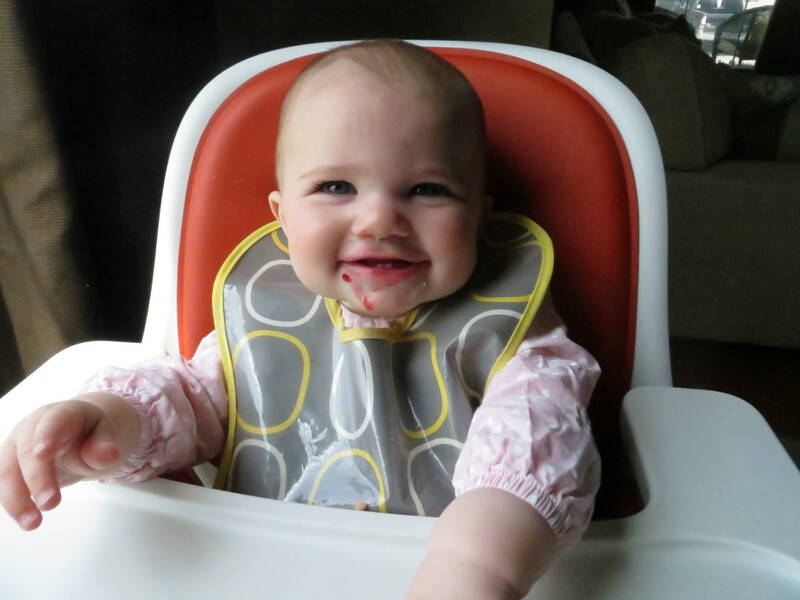 Baby tested and baby approved! *Hint, hint! One of the first known uses of beets was by the ancient Romans who used them as an aphrodisiac. Use caution when eating beets, ha! mmm i have some dig balsamic vinegar that would probably be amazing with roasted beets! Let me know how you like it stephcormier!